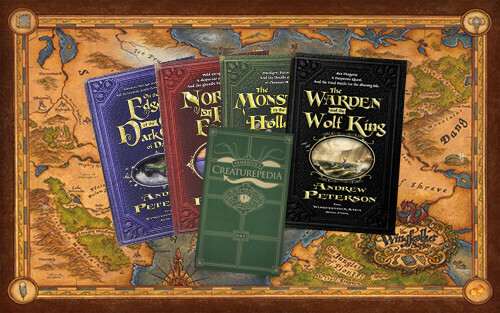 If you’re not familiar with Andrew Peterson’s excellent Wingfeather saga, you can learn more at our review of book three, The Monster in the Hollows (We’ve also reviewed Books 1 and 2). In short, they’re a phenomenal fantasy series for kids and adults alike, telling the story of the fight to free Aerwiar from the tyranny of Gnag the Nameless. 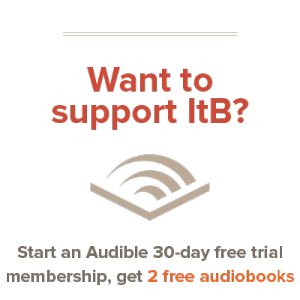 They’re rollicking good stories, and come highly recommended from us at ItB. Before you enter, you’d probably like to know that in addition to the four signed books (as if that wasn’t enough! ), the folks over at Rabbit Room are also throwing in a Map of Aerwiar (featured in the post image, just above) and Pembrick’s Creaturepedia. All told, you could be walking away with a $60 bundle of books and goodies. You really don’t want to miss this one! The basic requirement for entering is to comment below using the name and email address fields (you must enter a valid email so we can contact you in case of winning). The comment will need to be approved, so don’t worry if it doesn’t show up immediately. That’s it! Once you’ve done that, you can also help yourself to a bonus entry by resharing this post on Facebook. 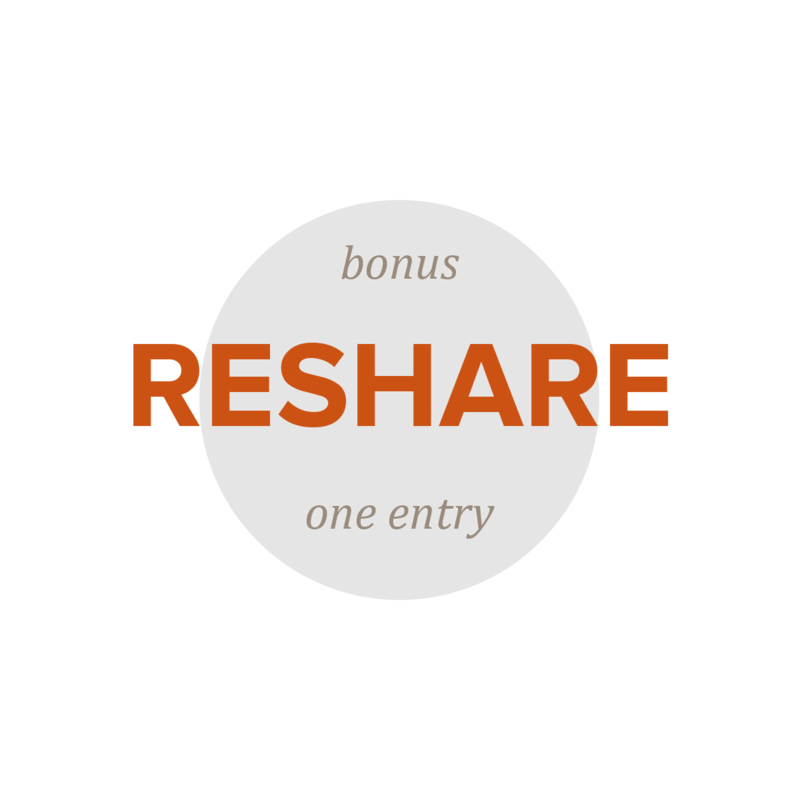 You need to reshare the exact post at the linky so that we can track who’s shared; unfortunately, any posts shared through the share buttons at the bottom of the post will not increase your chances of winning (but we’d appreciate it anyway!). The Facebook share is a bonus entry, and only counts on top of the comment — shares without a comment won’t be counted. You can quickly double your chances of winning! This giveaway is open starting now and will continue through November 27th, ending at 11:59PM Central time. So get your entries in there ASAP. And don’t forget: share on Facebook to increase your chances of winning! 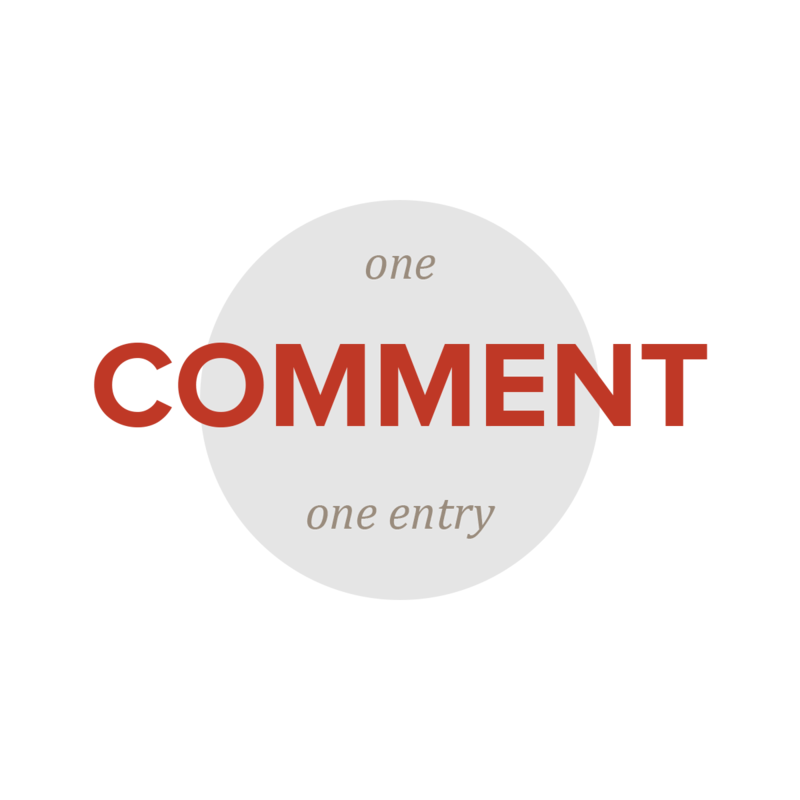 Clear duplicate/spam comments will disqualify a reader from winning (except for technical glitches, etc). I got to hear him live and talk with him a little bit over the weekend. It was fantastic. He’s such a warm person . That sounds a little creepy now that I think about it, but it’s not meant to be. I love these books! I have read the first three so far! My daughter loves Andrew Peterson and the Wingfeather Saga. She would be so excited if I win. I would totally love these. It’s a great, humorous series with some teeth to it. Met Andrew Peterson at a writing convention and have read the first book, but not the others. Definitely entering! I haven’t read these yet, but I should. So here’s my entry. Sounds like a great series! I’ve not read any of his, but have heard about it here and there… Must be a fun world to dive into! Sweet! I love these books! My daughter would be very excited if I won as well!! What a fabulous giveaway! I have been wanting to read this series for quite a while! Most of my friends are head over heels in love with it. I would love to get this series! I have a friend that loves them and I would love to read them as well! Multiple friends recommended the Wingfeather Saga to me, and I have to say, I have fallen in love with it. It’s beautiful. 🙂 Would love to own it! Yellow! Been wanting to read this for a long time now! Thanks for putting on the giveaway! Love us some Andrew Peterson!! I can’t think of anything I would like more to give as a Christmas gift to my family! Awesome! We are HUGE Peterson fans and have all his albums and have 7 kids who would eat this series up!!! Hope we win! I love Andrew Peterson’s music and my boss says these books are amazing! I’ve read the first three and enjoyed them. I’m going to give them to my kids, particularly my 9 yo, for Christmas. Amazing. We love Andrew Peterson! would love to own the series! My youngest is completely enamoured by the WFS. Her book fair entry was for OTEotDSoD, she dressed as Leeli for a costume party, she wants a kitten to name Podo, etc….Why, I hazard that she’d cross ice prairies and fight Fangs for autographed copies of these treasures. A wonderful series! I was particularly touched by the relationship between the brothers. I wonder what their relationship will look like as adults. With three boys, I’d love to add this series to our library! I’d love to read these to our daughters on the evenings. Looks great! I have friends that have read and loved these, and I’ve been wanting to, I just haven’t been able to justify the cost of acquiring them yet… but I’d love to win this! Thanks for running the giveaway! This is an awesome giveaway! I can’t think of many books that top these. This is fantastic! These books are some of the best I’ve ever read. Hoping to be able to read the last book soon! And that map is just gorgeous!!! Fantastic Books! We read all of them this summer during the library’s summer reading program and I’ve been trying to decide who gets them for Christmas… What a wonderful giveaway! This is our favorite series! A signed copy would be a treasure! The Wingfeather Saga is one of my favorite series. <3 I finally read Warden and the Wolf King this year and OH STARS. It was amazing. We have them all, but would love to gift them to someone! Thank you for the chance. I’ve heard good things about the series, but I haven’t read it yet. We haven’t read these books, bit have heard amazing things about them. I love, love, love these books. They are fabulous, and not just for children. I’ve been wanting to read this series and share with others. I adore the Wingfeather Saga series and would love love love to win the signed copies to share with my family!! These. This. The favorite-est of my boys. Love. I’ve heard nothing but great things about this series and would love to have it for my wife, kids, and me! These are such fun books! My kids love this series! We’d love to be able to share the books with a friend! A wonderful series from a very talented author and musician who just continues to get better. Been a follower and supporter for years! Love these books as recently was promoting them on FB anyway…will give away the set to a worthy friend if I win! As a child therapist, I see the wonder of a child and Creator’s mind at play in this beautiful story. I want this. What more is there to say? I followed Andrew for years and would be very blessed to win this and give them to another family. I have turned many to his books and songs already! Always love the authenticity and love that he puts into his works! Would LOVE to win these for my hubby’s birthday & Christmas!! We absolutely LOVE Andrew Peterson!! This is one of the best fantasy series ever! It just got better and better! These books are amazing! AP is the story teller of our times! Loved the first book in this series and cannot wait to read the rest! Great series, great author! This would be a blessing to me and my family. Wow! These books are great. We would love to win this series and incredible bonus map and Creaturepedia! I’ve been meaning to buy this series to read to my two boys 9 & 6; would be great to win – all the best! I really want to read these – and read them to my son! These are the books that get past multiple generations. This is great news! Entry. Would be so thrilled to win this… what a great giveaway! My family has all read these together, and have laughed and cried with the characters all along the way. Now that I have moved out, I would love to be able to cherish those memories over again. This is a much-loved favorite. It isn’t just a fantastic adventure story, it’s a family discipleship tool. We often find ourselves quoting bits to one another in an effort to encourage and remind ourselves of what is true. When we go our separate ways, we charge one another, “Remember who you are.” It would be good fun to win and to share this rich series with another family. My son and I just finished the first book and we are captivated! Saw AP when I was about 15 and have been in love with his music every since. Looking forward to starting this series! Great series by my favorite singer/songwriter. Winning this would be a great reason to read it again! Love this series! And share it with friends whenever I get the chance. These are the books that get past down multiple generations. It would be a wonderful Christmas present for my daughter (and who am I kidding, me too 🙂 ). I’ve had my eyes on Andrew’s books for a while now but just not enough money to buy them yet. I’ve read excerpts and reviews and they all sound oh so intriguing and exciting. Would love to win these. An awesome giveaway of awesome books! I’d love to win! Have heard great things about this series! I came across these books a year or so ago and decided to read the first and with in the first chapter I was hooked! I read all four of the book without delay. Hands down the best series I have ever read. I enjoyed them even more than the Chronicles of Narnia. I’ve even had 2 of my 4 children read them. The other two are on deck. Loved them! Amazing song writer, would love to win his book series!! I’m a huge fan of Andrew’s and would love to share this series with my children! I love Andrew Peterson’s music, and although I’ve never gotten around to reading the books, I am more than willing! These are great books. I love the series and I love his music. I have heard so many wonderful things about this series and have been wanting to read it! Here’s hoping I’ll get to start sooner rather than later by winning the set! My entire family LOVES this series. We’re waiting for the movies. This would be the perfect Christmas gift for my sister! I’ve only read the first book, so I’d love to finally finish the series. I’d love to read these with my boys! Love his songs, I’m sure I’ll love the books. This series is wonderful. It’s right up there with Narnia and LOTR. Amazing how he skillfully weaves this story to resonate with THE Story! We need more copies, because out son has worn out the originals we had! This is a great giveaway, I’d love for my husband to read this series with our boys! My son adores these books! It would be amazing to win this drawing for him! We would enjoy a set! I have read the first couple of Wingfeather books from the library & enjoyed them. I would LOVE to own them! Would love love these for my kids (and me!). These are some of the best books ever. Ever. My kids would be so excited! We love these books!!!! My son doesn’t want me to finish reading The Warden and the Wolf King because he doesn’t want it to end. If you haven’t read these books, get them now!!! We love this series! It’s right up there with Narnia and LOTR. I haven’t read these, but I have got to try them. Sounds like an amazing series! Warning to anyone who has not yet read the last book: There will be tears. It’s some of the most beautiful storytelling ever crafted. Fantastic books. My 5th grade students love reading them. We’ve been wanting to read this to our kids since a friend told us about the series. I have never read these books, but they come highly recommended. The Wingfeather Saga is wonderful! I want to win this set for my grandchildren. Andrew Peterson is an incredible artist of many talents and much wisdom–grateful for the way his work gives me vision and hope and love! Love these books 🙂 I’ve been a fan since I was nine. These books have brought such joy to my family of five. Such a beautiful tale of redemption. We’ve been wanting to read this to our kids ever since we heard about the series from a friend. Would love to give this to my 7 year old for Christmas! My 14 year old son and I are reading this together. We’d love another set to share with someone else! These books have been hope to my heart! And an inspiration for composition for my piano students 🙂 Thanks for the giveaway opportunity!! These are seriously my favorite books. I absolutely love them! I have heard SO many wonderful things about these books!! I would love to have them for my family and myself!! We love Andrew. My son just finished this series and has been drawing and illustrating his own “inspired” tome. Brilliant reads. My boys love these books! My son got a D in reading so I had him start reading the first book in the series out loud to me. I’m now glad my son got a D in reading if only because I get to spend the time listening to him enjoy reading your book. Oh, Oh! Pick me, Pick me!! I have read the books and so have my kids. We even named one of our dogs Peet the Sock Man. (unfortunately Peet then ate a sock that had to be surgically removed, talk about living up to your name). Excellent series; wish to share it with the grand kids! Andrew is an amazing artist and a great storyteller. Would love to win these books. Love these books so much!! Want to get for my niece for Christmas! This would make for an awesome Christmas gift! I love his songs I’m sure I’ll love the books. This is our family’s favorite series! My favorite!!!!!! Would love love to win!! Ooh, such a great series! My boys LOVE this series! What a special thing it would be to win!! Would love to share this series with my kids and family! I would love to share this set with my nephews!! Giving it a shot. 🙂 I have heard of them but haven’t read any of the books yet. This is one of the few series that my girls agree on. I can’t wait until the boys are old enough to read them! I have given this series to my niece, she loves them as much as I do. Wonderful stories and great for reading aloud at bedtime. This is my favorite read aloud! It would be a gift for me, even more than the kids! Two of my sons and I are currently reading through the series and loving it! I haven’t read them yet but would love to! Here’s my entry! One of my favorite musicians…I have a feeling he will end up being one of my favorite authors as well! Huge supporter of AP’s music, but completely new to his fantasy world. Sounds interesting from what everyone says. Great grace! Oh I’m so excited!!!! Can’t wait to see who wins. Good luck everyone! Knew Andrew before he was a “famous author.” Way to go! Would love to get the books for my kids. This would make a great Christmas gift!! Such an incredible series. It’s always great to have an extra set on hand to share or give away 🙂 . Our family loves these books! Woo hoo! We love these books! I am a 41 yr old mom of 4 boys and a new grandson! I would love to have these books as much for myself as for them!!! I love the books, and being able to meet him and see his behold the lamb of god concert live was amazing!!! Would love to win this series to read with my children. I’ve been looking forward to reading the last two books! I love the books, and being able to meet AP and see his concert live was amazing!!! We have the whole series, but want to enter so we can share with our school library! This is the only book series that my older girls (12 and 11) gobbled up in two days, then begged me to read them aloud to their younger sisters (9, 7, and 3) because they loved them (the books and the sisters!) so much! This set would absolutely send them over the moon. I have read the first one…it would be great to read the rest of them also! I hope I win this! I would love to share there books with my kids. I’ve really been wanting to read these! What a generous and fantastic giveaway! Would love to win this set. How awesome. Great book by a great artist. I read On the Edge of the Dark Sea of Darkness with my fifth grade students, and they can’t wait to get to it this year. This would be an awesome addition to our classroom experience. This is our favorite family read-aloud series! I’d love to add these to my library! Fantastic books. Great timing for a Christmas gift. I have heard great reviews of this series. My kids love reading, and this would be right up their alley . I would love to share this story with my girls! We’ve been wanting to read these! Best modern fantasy series I’ve read! On par with the greats! I would love to win a signed copy of Andrew Peterson’s fabulous series! Great idea! I loved these books & it would be great to have signed copies and the map. Love the Wingfeather Saga series. Awesome. My daughter would love this. I need more Oood to share with my friends! Love these! I would love to share these books with someone who hasn’t read them yet! Oh my gosh, I would love to have this set. The Wingfeather books have been such a strength to my soul. I want to have them for my children when they are old enough. This would be so great to win. Thanks! I hope my kids love these as much as I do! My son loved the first book in this series! Would love to win so he can read the others!! I would love to have this because I have been planning to read them already. Ooh boy, my kids would love this! I love Andrew Peterson’s music and his books! Love these books! We would replace our piecemeal copies with the bundle and donate our copies to our library – I have been singing the praises of the series there. I would love to share this series with my brother. If Peterson’s music is anything to judge by, these books must be good indeed. I’ve been plotting and scheming some way to get Andrew to sign all my books, so maybe this is my answer 😉 I would probably cry if I got them, not gonna lie. We would love love these!!! Ack! I LOVE this series! I’ve got 4 stockings hung by the fire with care with four little girl names on them for four books that would grace our home this Christmas! C’mon c’mon! Ooo…yes, please. This series is on my to-read list; I’ve heard only good things about it. All of Andrew’s work, both musical and books, are excellent! I could comment some long paragraph on how I think I should win, but to be honest….I don’t need to win! I just really want to! My youth pastor told me I needed to read this series and I just haven’t gotten around to buying the books. I am slowly building a library of wholesome books for my girls. These books would be a welcome addition to their library! I grew up reading and it is still my favorite hobby. I hope to pass my passion for reading on to my girls so they also will be lifelong readers! So excited for this book series. Great reads! This is the best ever series! My children and their personalities so much fit the jewels. Really love these books and the opportunity to win a special set! If I win, I would donate the set to my school’s library as I already own this series and have read it through twice. I can’t tell you have many times I have reread the last four chapters of The Warden and the Wolf King. Beautiful! I was just about to borrow the first one from a friend. It’d be wonderful to have them for myself! I’ve been wanting to dive in to this series for some time now. I think highly of Andrew. I have a son that struggles to find books he likes to read. We find our best bet is to find a series he can sink his teeth into. These books would be great for him. We would love to introduce these to our oldest son! I already own the books, but the map and Creaturepedia, along with them being signed, make it well worth my while. Mr. Peterson is such a wise father. He built so many truths into this series to share not only with his own children, but with all young and old. Such adventure filled with humor, horror, tears, and laughter! A wondrous way to grow! Andrew is an amazing author and songwriter! Check out his books and records; they’re all insightful and uplifting! We love this series & can’t wait to gift it to a friend! We’ll celebrate over bowls of cheesy chowder! Our family loves these stories! These books have been on my wish list for far too long! I am already looking forward to the day when I can read these with my kiddos too! Hi Andrew! Thank you for all that you do. This sounds like wonderful family reading time! My kids and I love this series! We’ve borrowed and read books 1-3 so far. I’ve already bought book 1 for two different people to get them hooked, but my kids and I would love to own our own set! Beautiful and moving! It would be fun to read these books with the ninth graders that I teach (reading books with them also gives me an excuse to get some fun reading in – grad school textbooks don’t cut it. :)). That map is absolutely gorgeous. Read the first book, and looking forward to reading the rest of the series. My son and I love this series. The final book had me sobbing as much as The Last Battle. Brilliant and beautiful. Love his music and books! I would be sooooo excited to win this! I love this series so much!!! These are great books! I would love a copy signed! These are great books! I would love a signed copy! Just bought the first book for my son for Christmas! Excited to read through them together. Easily a top favorite series! I keep giving away my copies. Borrowed all of them and read them out loud to my kids, would love to own and share! Andrew Peterson is my favorite singer/songwriter. If you haven’t checked out his music, you should. This is an amazing series which everyone should read at least once! I’ve intended to dive into this series on the recommendation of several dear friends for months now. After spending time soaking in Andrew Peterson’s music, I’m quite eager to explore his prose. Pick me! I enjoy the audio book versions of these but nothing beats having a book in your hand. These books are fantastic; would love a set of my own. I would love to place this under our tree at Christmas! I would love to put these under our Christmas tree! Loved this series! I so appreciate the different (and Christ-like) slant on what makes a hero and the importance of serving over even being served. Christmas gift for 3 wonderful brothers! Such a wonderful series! I thoroughly enjoyed it and have shared it many times over! Halfway through book one and already hooked! I would love to own and share the whole set! Oh My word! This is the most amazing book series!!!! I would love a set of my own to read to the kids! I can’t wait to finish the series. The first two were excellent. A wonderful series! My boys loved all four books! I loved these books – and I recommend them to everyone!! I’ve looked at these for a while and know my son would love them. These are the kind of books he loves! Would love to read and share these books with my family! Although I’ve never read these books I’ve heard much that is good about them. I’m looking forward to reading them sometime soon, one way or another. These books are fit to put on the shelf alongside Narnia and Lord of the Rings. Peterson made something truly magical! I’ll be reading these to my kids – the first of which isn’t even here yet. But when he/she gets here, the Wingfeather Saga will be one of his/her first stories. This is one of the best stories in the world! I have been telling all of my friends and family to read them! My daughter devoured these books and we grew closer through them in ways hard to describe. A true treasure. I’ve fallen inescapably in love with these books over the past few years. They’re so incredible. Some of the best stories I’ve ever had the pleasure to read. My favorite series! I recommend these to all my friends and their kids! I would love a shot at winning these! I’ve heard a LOT of good about them and I have several interested readers in my home. These books are fabulous. I’ve read them all aloud to my family, and they are a favorite. Andrew Peterson has crafted a tale that has such a fantastic story arc, such beautiful imagery, and such depth of meaning that I think it surpasses Narnia. I really like the Wingfeather Saga a lot. Oh! I have been so enjoying these books! fan of Andrew Peterson since my teen years. I’ve been fascinated from your posts about the series and am ready for a new adventure! Besides loving your music, Andrew, I am blessed to ‘know’ you and your family and have been tempted to begin the read; when money permits. I would be thrilled to win! God Bless! My son and I read these on Kindle, but how much nicer would it be to hold them in your hands! These are books worth buying in paper AND electronically so that you can take them everywhere. I would love to win these and give them to my nieces and nephews. This is awesome! I love Andrew Peterson and love these books! Was just telling someone yesterday that this is a series I want to buy for our kids! These aren’t just great books. They form a story that resonates in the deepest part of my soul. As a follower of Christ, they have enriched my walk in ways few books ever have. This is a beautiful, funny, poignant, skillfully written series that is full of truth. I have been recommending it to my Middle-School Literature students, and my daughter is writing an essay on the first one in the series. Each book gets better and better! My teenage son would be thrilled! I lived another life while reading these books. Thank you for the adventure. These are wonderful books full of life, fun and adventure. My daughter loves them and I’m looking forward to introducing my son to this series. Trying to win these for my lovely sister!!!! Thanks for the chance!! I actually just started listening to the series on Audible, checking them out as a gift for my grandson. I have enjoyed them myself. Andrew Peterson is a gifted musician, singer, song writer speaker and author. Look forward to holding hard copies in my hands. My boys have loved the first two. I love AP’s music so I’d be delighted to read his books! Not sure where my first comment went…I love AP’s music and would love to read his books as well! These books keep me young and I would like to share the wealth. <3 Wingfeather. We are always looking for great books! Love, love, LOVE these books!! My husband and sons are huge LOTR fans and I would love for them to read the books. Love his music, and my family loves his books. Sign me up! All of our sins have read these books and loved them. Now it’s time for the parents to find time! Thank you! We’d like ve to read these. I hadn’t heard of these before, but now I’m very interested! Thanks for such a lovely giveaway! Have never read these, but I have a son I’m sure will enjoy them! My daughter would love to read this series. I never read them either, so I would love to get a chance to read them too! Would love to read this series and share with my daughter! This series has been on my to-read list for a while. I want them for my son. I’ve heard great things about these books and would like to win. Love Andrew Peterson’s music! We would love to own this great storyteller’s books! So thankful for these books for our family! Looks like a very fun series and would love to read them. “New” children’s fiction series by skilled musician-turned-author Andrew Peterson. Guaranteed to unite the most divided Lewisian-Tolkienian factions. You (and your kids, I suppose) will be hooked. I love this series and would love to gift it to a friend! Thanks for doing this giveaway! Sounds like some great books! I love Andrew’s music, but have yet to read the series. This would be a great way to! This is awesome! Love Andrew. This books are brilliant. I have lots of nieces and nephews would love to win a set to share with them. These books are fantastic! I would love to On my way! them to read to my kids (and retread myself! Love these books! Been listening to your music since I was 13 and that was 16 years ago. Thanks soothing and encouraging my soul through your music and books! I love the Wingfeather Saga! Andrew Peterson has been blessed with the gift of story telling, whether it be through music or on the page. These are our family’s favorite books. Have been wanting to read these. Winning would be an awesome way to do that! Oh, it would be great to have the whole set! These are a family favorite in our house. Admittedly, we do own all of the books, but I would love to get these so I can introduce a new family to this series. Please please enter me in the contest! I would read these books over and over again if I owned them. I can’t wait to read them out loud to my son when he’s a bit older! I have a full set of my own, but this would make a fantastic birthday gift for my brother!! Wonderful books, fantastic giveaway! I’m always wanting to be able to hand people a copy instead of just telling them how fabulous the Wingfeathers are. I’ve heard good things about this series. Would love to win! AP is one of my favorites. Everyone should own this series! We would love to own this for our 6 kids!! My whole family loves these books, and our copies are already worn out. Would love to have the full set! would love a copy of these! My whole family loves these books! I would love to get a new set, because ours is already worn out! My grandchildren were reading one book and were DYING to read the rest. Grandma came to the rescue, but they keep getting passed around and I haven’t been able to read them yet! They must be terrific! My daughter and It ry to get the word out as much as we can: this is a wonderfuls series!! The writing is such that it draws you in, fills you with emotion., makes you yearn to be in the action, and gives you hope in the Creator afresh. Read these books! Thanks for this giveaway! Grateful for Andrew Peterson’s work and ministry. We love these books!! Our family actually argued about who would get to read them first as they were published. We would love to have another set!! Does anyone know where to find a list of character building books for children of different ages? I learn about books like these hapahzerdly and would like to be more intentional about getting books ready for different stages of children’s development. Thanks very much. This book series brought our entire family together for one exciting, adventurous and enthralling story. We have 4 children with a ten year spread and they were all engaged and invested in the story. It wasn’t just our children but my husband and I as well that loved this series. My 15 year old has read the entire series 4 times. Please pick me. I’d love to read them. The series is on my Christmas wish list! I am planning to share this with 2 of my nephews. I know they will love it. These are the stories that stick with you. My son Kevin would LOVE to read these! These have been on our reading/wish list for awhile. We would love to have a set of these! We’ve read the first one, and would love to keep moving on in the series. Sign us up! Interesting in reading this series! My son has just started reading this series and is hooked! Interested in reading this series! I love these kinds of books, as does my family. Would be an awesome prize! We are always looking for more good books to read! My son would be excited to read these! My children and I are huge Andrew Peterson fans. I would love to have these books in my home. I’d love to give these books to my best friend for Christmas! Thanks for the trip to Aerwiar! What a Wondrous land! My first comment did not post, so I am trying this again. Don’t disqualify me, please! I love this series and am currently reading the second book on a Kindle. I would enjoy having these copies in codex form. I’m reading these to my kids. They love them! Can’t wait to read this win I when! Been looking for some solid good books that I would read, and that my son would read again and again and again. He loved LOTR. Sounds like something my boyfriend and I would both love. My son loves the first book! I bet my 16 year old son would love this. We love Andre Peterson’s music at our house. Just this week, I discovered that not only does he span beyond slugs and bugs, but he also is an author. That is a huge amount of comments but I’ll hope anyway! Love Andrew Peterson’s works. looking forward to introduce my son to this series! I met Andrew Peterson at one of his shows last week, and he was great to talk to! Haven’t read the whole series yet, but I wold love to own them! Yes please! I have been wanting to start this series with my daughter for some time now! These books are wonderful! I love them! Best books I’ve ever read! My daughter would flip! Would be an amazing Christmas gift for her. Would love to read these! I also have twin brother in laws who would LOVE these as a Christmas Gift! Anything written by Andrew Peterson would be at the top of my “wish list”!!! He has a rare gift; the ability to share things real and raw, while at the same time showing (and helping us feel) beauty and great hope. Gonna echo what Peter B says. My niece and nephew should have these books in their home. These were recommended by a fellow literature lover and I’d love to read them! I’ve heard good things…it’d be nice to add to my book stockpile before winter gets here! Fantastic series! I’d love to have these signed copies. Here’s my entry. These books are a modern counterpart to Narnia…I don’t own them yet but would love to! I’ve been wanting to read this series myself, and I have two younger brothers who I think would enjoy it as well! Fabulous series. I highly recommend it! can’t wait to read… comes highly recommended!!! We are a house full of “book nerds.” We keep hearing about this series, but have yet to be exposed to it. If we receive these books, they will be read. It’s how we roll. Id gift it to my brother in law for Christmas! Andy P is one of my absolute favorite writers. Yes please, would love these books. I got to read the first two and lost them during our move to Ft Stewart. Would love to read all of them! I love the series. I have read the first three, and re-reading the third before finishing with the fourth. Great series. Really looking forward to finishing the last book! Sounds interesting! I would live to try them! My kids all love this series! I was extremely lucky to see Andrew Peterson in concert when he came to my hometown. Unfortunately, I forgot to take my Wingfeather books, so I didn’t get them signed! While I’m secretly hoping Mr. Peterson will come to my town again (I am overly fond of my book copies and would dearly loved them signed), having a spare copy as a gift to one of my siblings would be (almost) as amazing! Never had a clue about these books. Is this the same Andrew Peterson who sings? Thanks for writing. These books are spectacular. I listened to the first book be read out loud and loved it. I can’t wait to hear more! Would love to win this! I am nearing the end of book one and already know I would love to own these to read and share with my boys when they are older! Such a great series! So many entries to scroll through! Very curious about these books for my kids. Would love to win. Thanks. My kids are just starting this series with an audiobook from the library; would love to own it! Oo, thanks for making this possible! We loved this series and would love to win this! Yes please. I have heard great stuff about these books. We’d love to read these with our kids! Looks like a wonderful series! We would love this opportunity!! I have heard these are good books! I love Peterson’s music. I would love to give these to my kids for Christmas. Our family would thoroughly enjoy this series! THANKS! The children should love them, as friends say they’re like Narnia, and other great works. Maybe we’ll get a chance to read them, too! We’d love to try them. They sound absolutely great. Thanks so much for publicizing this magnificent series. My 9 year old loves it, as do my husband and I.
I have always wanted to read this series to my kids! We love these books and would love to have signed copies! I’ve heard such good things about this series and have been wanting to read it! Wanting to read these to my kids once we finish Narnia series!! I actually got pre-bound copies of each book which is weird because I review music, not books, but heck…..it was Andrew Peterson! So…..would be nice to have the actual product. I have heard these were great books and I would love to read them! This is a great series! I borrowed them from a friend, so having my own copies would be awesome. Love this set! My parents have one…would love my own! Haven’t read the series, but I am looking forward to reading it! It looks great! Wow! I am in the first book and loving it! Fun contest, thanks! Just in case there is any confusion because of my pseudonym, I did share on facebook. As an avid children’s book reader, elementary teacher (though technically teaching high school right now), and a fan of Andrew Peterson’s music, I’m excited that he also writes literature! Love the books! Would be nice to have in print; we only have kindle versions. My husband and daughter love these books. I found out about the contest by reading the interview … thanks, that was great! Andrew is one of my favorite authors, as well as musican. I’m always looking for good read-alouds for my family but I’ve never heard of these. Looking forward to reading them! I NEED these books!! We have 4 boys who are avid readers and would LOVE these…My oldest has read the first two that we were able to find at the library and has been asking for the next! They would be read so many times in this house! Daughter is loving these, would be a great win for Christmas!! Andrew Peterson is a great writer; I admire his authenticity and unique style, and his books are fantastic! I have heard so many recommendations for these books and have kids just entering the age where they would enjoy them…we’d love to read them together as a family! I’m the biggest kid in the house and want to share the series with my Throne Warden, Song Maiden and King! I’m the biggest kid in the house and want to share this series with my own Throne Warden, Song Maiden and King! I’m the biggest kid in the house and LOVED the series! I want to share these books with my own Throne Warden, Song Maiden and King. Used these books to homeschool a literature class for my granddaughter.Loved!! Used these books to homeschool my granddaughter in a literature class. Would love to get them! These books sound great! I would love to read them! My Sister and Nephews would love these. My boys would LOVE these books!!! We’ve done the first three books as a read aloud and are hoping to do the fourth soon! The series is wonderful! We haven’t read these yet, but would love to begin the series! Thank you for this opportunity! We love Andrew Peterson and would love to read these books. I’ve just heard of these and can’t wait for them to be our next read-aloud! Ooh, I love this series! We love his music, but have never read his books. Sadly, our library doesn’t have them yet. My daughter would love to own her own set! Greatest books in the history of the world! Andrew you are my hero. I would love this. Love the series! I’ve enjoyed sharing it with my family and giving it as gifts to friends. Highly recommended by my friends. I hope to read these one day. My kids probably would adore them too! I read these for the first time a few months ago and was very impressed. Can’t wait till my kids are old enough for them! Thanks for doing the giveaway. Haven’t read them yet, but curious! I haven’t heard of these books before and it looks like a great series to read with my kids. LOVE THESE BOOKS!!!!!!!!! I borrowed all these books from my friend and read all of them (reading them now for the second time!) and loved them and now would like my own copy. Thank you Andrew Peterson!!!!!! I would love to win these books (and the additional bonus’s as well). A friend has been telling me about them and how much she has enjoyed reading them, so I can’t wait to start!! Thanks for the opportunity.